Electroplated diamond or Cubic Boron Nitride (CBN) tools are made up of a basic single layer or multi-layers (depending on application) of either diamond or CBN particles that are bonded to the tool surface using a nickel matrix. Diamond electroplated wire used for sawing sapphire (LED), Silicon carbide (LED), ceramics, silicon, principally. Diamond files to electroplating intended for adjusting manual metals and hard materials applications. These files are also called needle files. 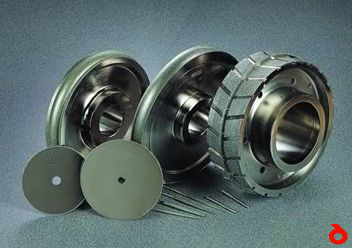 Diamond blades electroplated for sawing, cutting, cutting, composites, fiber epoxy resin on portable or stationary machines.